Andrew J. Allen is an assistant professor of music at Midwestern State University in Wichita Falls, Texas. 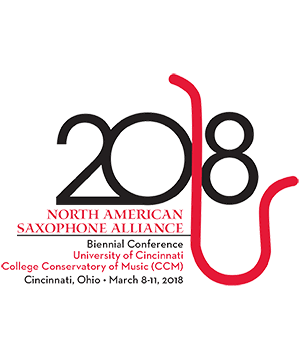 Dr. Allen has premiered nearly twenty works for saxophone and has performed and lectured througout the United States and Europe. His writings have appeared in The Instrumentalist, The Saxophone Symposium, The NACWPI Journal, JazzEd, School Band and Orchestra, and Saxophone Today, among others. His debut album with saxophone/percussion duo Rogue Two is currently available on Equilibrium Records. Dr. Allen holds degrees from Tennessee Technological University, Central Michigan University, and the University of South Carolina where he studied with Phil Barham, John Nichol, and Clifford Leaman. He has undertaken additional study with Joseph Lulloff, Claude Delangle, Arno Bornkamp, and Vincent David, among others. 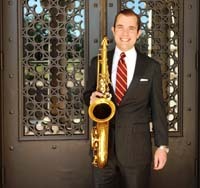 Dr. Allen is a Conn-Selmer Artist-Clinician and performs exclusively on Selmer Paris saxophones and Vandoren mouthpieces, ligatures, and reeds. Andrew J. Allen Soprano Saxophone Andrew J. Allenis an assistant professor of music at Midwestern State University in Wichita Falls, . . .
Gordon Hicken Percussion Dr. Gordon Hicken is the Assistant Professor of Percussion and Associate Director of Bands at Midwes . . .